Equity is essential because the biggest risk you run in the long run is “not taking any risk. Indian equity markets have evolved substantially in the last 20 years in terms of risk management, settlement cycles, efficiency of operations, etc. However, retail participation is still fairly low, albeit it is picking up through the equity mutual funds route. Indian investors are veering around to the view that only equities can generate wealth for them in the long run. Here is what investors should know before investing in stock markets. Do I really need to invest in equities? Why you need trading account and demat account? When you embark on your equity journey, you will need to start off with a trading account and demat account. You can open both the accounts with the same broker; in fact, it is also advisable to do so. 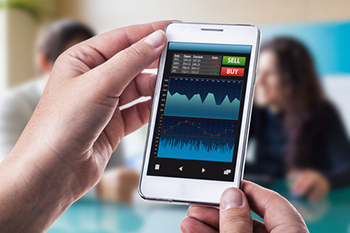 While the trading account helps you execute transactions, the demat account is where your shares and other securities are stored in electronic form. Even when you invest in IPOs, you need a demat account. However, the demat account cannot be used to transact (buy or sell), which can only be done through the trading account. Intraday versus delivery trading: what is best for me? Intraday trading is about initiating and closing out your position on the same day. There is no delivery in intraday trading, and so, there is no involvement of your demat account. However, intraday trading is risky because it leaves you with just ~6 hours to buy and sell a stock. If you can invest the money, you can take delivery in the stock and hold it in your demat account. In delivery, you have the leeway to hold on to the stock for longer and wait for the price of the stock to appreciate. How do shares and funds move in and out when I buy and sell shares? When you buy shares through your trading account, your bank account gets debited on the T+1 date, and your demat account gets credited on the T+2 date. When you sell shares through your trading account, your demat account gets debited on the T+1 date, and your bank account gets credited on the T+2 date. Your bank account and demat must be mapped with your trading account with the broker. Remember, you can place orders online (through the website or mobile app), and you can also place orders offline on phone or in person. Do I really get the best price in the market? Technically, you do because the NSE and BSE operate on price/time priority formula. That means even if you put the buy or sell at an unfavourable price, the trade will still be executed at the best available price. You can fine tune this further by choosing between market orders and limit orders so that you have better control over the trade execution price. Order book versus trade book: what they signify? Two important things you need to understand is the order book and the trade book. The order book is where the orders are stored. When they get executed, they go into the trade book. You can modify or cancel orders as long as they are still in the order book. Once the order is executed and goes into the trading book, you can only reverse the order through the market (buying or selling). A contract note is a formal legal document issued by the broker affirming that the trade has been executed and the price at which it is executed. All incidental costs and charges are also itemized in detail in your contract note. You can get the contract note by email and also download it online. Your broker gets the brokerage for executing the transaction. There are statutory charges like stamp duty, STT and GST which the broker collects and deposits with the authorities. Research, tips, and recommendations: what to use for stock market investing? It is not a good idea to rely on tips and recommendations to trade or invest in the stock market. Rely on your broker’s research and you must also use your own understanding and discretion to buy or sell a stock. Avoid relying on hot tips received on SMS or WhatsApp. More often than not, such trading and investment ideas are just a trap. Now that you know the basics, you are ready to commence your investment journey. Go ahead and make some worthy investments!